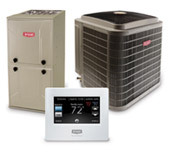 Contact Boyle Heating, Cooling, and Plumbing by phone, email or by using our contact form or the request a quote feature. Our dedication to service means we’ll get back to you within one business day! The following links are to our client engagement portal. If you’re ready to book, or if you’re already a customer, then use one of the buttons below to check the status of your job or request service!